GOG.com - Ultima 4 - Unterstützte Software - PlayOnLinux - Run your Windows applications on Linux easily! 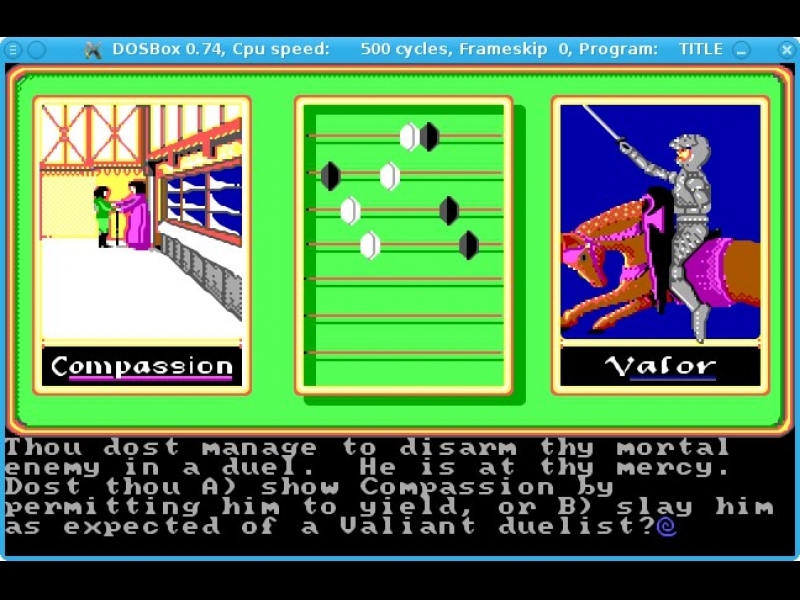 English: The famous cRPG from Origin System. Français : Le célèbre cRPG de Origin Systems. SHORTCUT_NAME="Ultima 4: Quest of the Avatar"
mv "$WINEPREFIX/drive_c/GOG Games/Ultima 4 - Quest of the Avatar/"* "$WINEPREFIX/drive_c/"
# Does it have any music? POL_Shortcut "ultima4.bat" "$SHORTCUT_NAME" "$SHORTCUT_NAME.png" "" "Game;RolePlaying;"